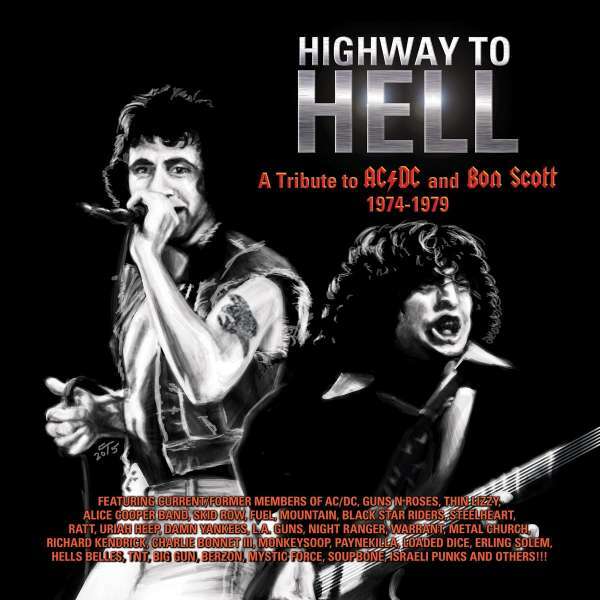 Der Artikel Highway To Hell: A Tribute To Bon Scott & AC/DC wurde in den Warenkorb gelegt. Members of AC/DC, Guns N Roses, Thin Lizzy, Alice Cooper, Damn Yankees & more celebrate BON SCOTT ERA AC/DC 1974 - 1979! What happens when current / former members of AC/DC (inc current drummer Chris Slade), Guns'N'Roses, Thin Lizzy, Skid Row, Alice Cooper, Black Star Riders, Ratt, Damn Yankees, AC/DC Tributes from around the world including Hells Belles, TNT, Big Gun, and Millennial rockers Richard Kendrick, Charlie Bonnet III, Monkeysoop, BERZON, Loaded Dice, Erling Solem, PayneKilla, MYSTIC FORCE, Soubone and more!